With the recent announcement of Windows 10, Microsoft has taken steps to put the low interest Windows 8 behind them. There has been a lot of mixed reaction to the new and restored features of Windows 10, but a key question is how will businesses respond to the newest release? Upgrading an operating system for thousands of users in a business environment and having to retrain many of these employees costs both time and money to a company. So before making the decision, the business benefits need to be carefully weighed up. Two of the flagship Windows 10 products, Enterprise client and Windows Server, have retained many of the best security features of its Windows 8 predecessor but have taken a step back and returned to a more IT friendly mouse and keyboard interface. Touchscreens may excite consumers but techies prefer efficiency and ease of use. As with the consumer version of Windows 10, the Start Menu is back! Any user who has complained about the disappearance of this iconic Windows feature in Windows 8 can rest assured that Microsoft has listened. The same holds true for the Enterprise versions of the new Windows. There are a number of technical changes aimed almost completely at server administrators, something that will interest admins who sought improvements in QoS and a new Virtual Machine configuration format. The client side of Windows 10 for business also has some changes in appearance to its interface. Microsoft has combined elements of Windows 7 and Windows 8, creating a tile-menu interface. Other than that, the majority of interface changes are to be found in the PC Settings option. While the new Windows 10 addressed many of the criticisms of the Windows 8 server and client systems, the question is how many of those changes will satisfy businesses and have them begin to migrate and commit to the latest version. It is clear Microsoft lost some the confidence of business with Windows 8. Historically, Microsoft never really needed to compete with Apple for business attention, except in select niche applications. Businesses have tended to ask, if not Windows, then what? As Microsoft moves closer to its final release of Windows 10, more specifics will be available. 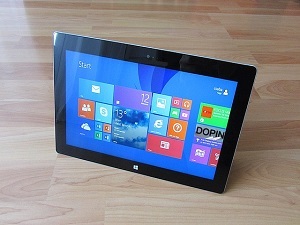 The bottom line is that the best features of Windows 8 Enterprise have been retained. Better news and more robust features are hoped for to attract businesses back to adopting this latest version of Windows. If the company learned anything from Windows 8 it is that Microsoft missed the greatest benefit of its Windows operating systems – the fact that businesses depended on them to make corporations, not consumers, its primary focus. Data security, ease of administration, and a familiar interface are all issues that are critical to businesses. Making changes to mollify consumers who primarily use consumer devices, such as Apple produces, has never been a major Microsoft concern. Particularly in its enterprise software, it needs to recognize its strengths and satisfy server admins, network admins, and small business technical staff. Minor changes to a mission critical operating system will not bring the demand Microsoft needs to remain relevant and competitive in the business marketplace.